Fred Williams - Patterns of Landscape 1988 Produced by Screen Australia is a 46 minute documentary on the Australian painter. Screened at 1989 Sydney Film Festival and on SBS and ABC television. 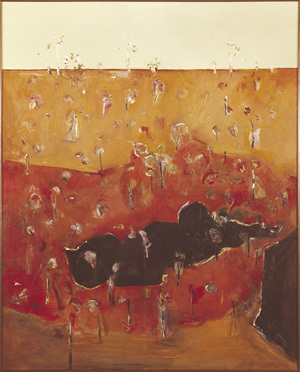 The National Gallery of Australia is featuring a Fred Williams retrospective exhibition. Copies of the Patterns of Landscape documentary are available for purchase at the gallery.